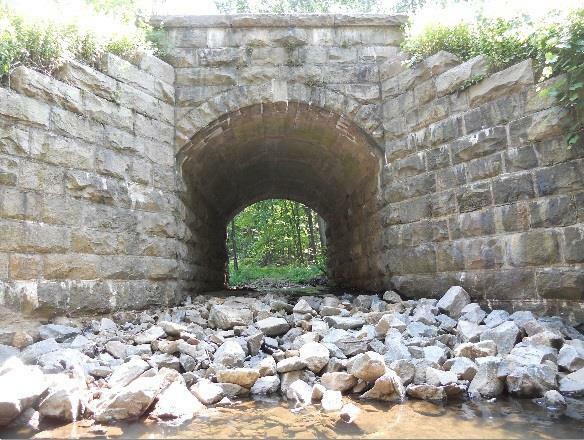 AEA provided bridge inspection services to the NJDOT for 121 Morris County and Municipally Owned Minor Bridges for the Part I & II. AEA was responsible for project management, coordination, field inspection, preparation of reports and Pontis/SI&A data in CoMBIS (County Minor Bridge Inspection System). Performed project management includes coordination with NJDOT Project Manager and Morris County Engineer for necessary training, access and indentification of the Structures and to assign appropriate inspection methods based on the NJDOT guidelines. Attended project scoping and fee negotiation meetings with NJDOT, and prepared cost proposal by using NJDOT Cost Proposal program. Prepared field inspection schedule and submitted to NJDOT for approval. Attended CoMBIS training program by the NJDOT and Inspectech. The project involved inspection of various types of structures, the superstructures and substructures consisted of concrete encased multi steel stringers, concrete decks, pre-stressed concrete adjacent box beams and voided slab beams, pre-stressed concrete box culverts and three sided rigid frames, concrete arches, stone arches, and concrete substructures. Performed a detailed visual and physical hands-on inspection of vaious elements of minor bridges with span length less than 20 feet. Substructures evaluated for Scour condition and prepared Sounding sketches for the stream bed profile. Prepared priority repairs letters, monthly progress reports and Pontis/SI&A Sheets in NJDOT’s MS Office Access program for Part I and in CoMBIS for Part II, and submitted to the Morris County and NJDOT.